to lose, without ever feeling deprived or hungry, as well as learning how to maintain your weight loss. As the owner of this Diet Center, I can honestly say I understand the problems that a lot of people face with regard to their weight. I have been struggling with my weight since I was in my teens. I've tried diet pills, Weight Watchers, all kinds of strict diets as well as some crazy ones. At one point I had 4 dress sizes in my closet. I've probably lost and gained hundreds of lbs. in my lifetime. I did the Diet Center program in 1992. Lost weight and was able to keep it off. I really enjoy helping others and became a Diet Center counselor. My approach may be a little different, especially since I know first hand what people go through, what works and what doesn't work. And that strict dieting and feeling deprived never works long term. I've also learned, after helping thousands of people lose weight for more than 20 years, the difference between someone who has just a few lbs. to lose and a few hundred….would you believe, not much. Whether you have 10 lbs. or 310 lbs. to lose, the feeling about yourself is pretty much the same…you're probably frustrated and not happy with your weight. But the great news is ........the weight does come off. As I always say "the weight goes on, but it comes off, too." You just have to be a little patient with yourself and try not to expect perfection. I'll be with you, cheering you on every step of the way. You won't feel alone in this journey. In addition to giving you all the support and encouragement you'll need, I'll try to make this a comfortable and fun experience as well. Why don't you do this for your health, do it for yourself as well as your loved ones. Contact us to set up an appointment for your free consultation or to answer any questions you may have. 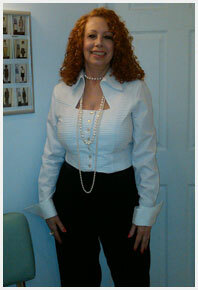 Linda Waxler is a Certified Weight Loss Counselor and has been affiliated with Diet Center for over 20 years (1992). She has completed the Diet Center program and is maintaining a 50 + lb weight loss. She's passionate about helping people lose weight, get to and maintain their goal weight, while providing a comfortable, supportive and encouraging environment.